There are some comics you struggle with, not because you can’t find their strengths or their meaning, but because you can’t find the exact way to say what you want. 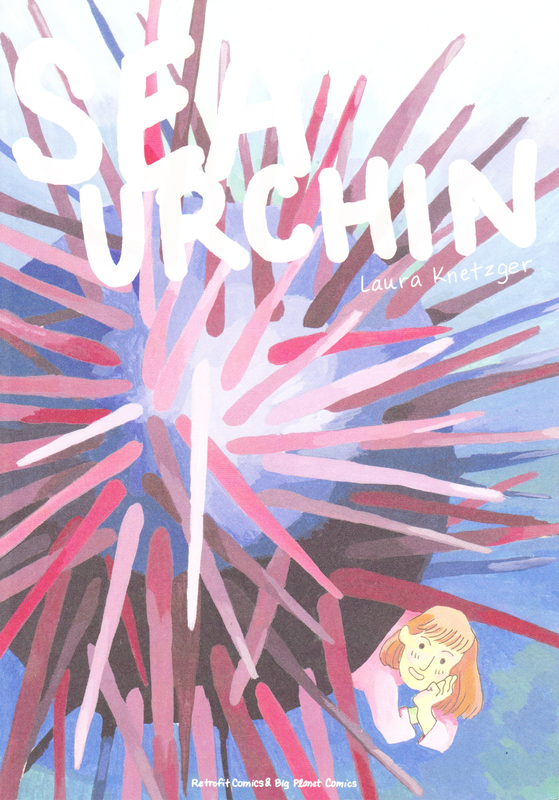 Laura Knetzger’s Sea Urchin from Retrofit Comics is like that for me, and I’ve been working through my thoughts on this comic since I read it this Spring. One of Retrofit’s longer books to date, Sea Urchin is 60 pages of perfect bound black and white comics with a full color cover. 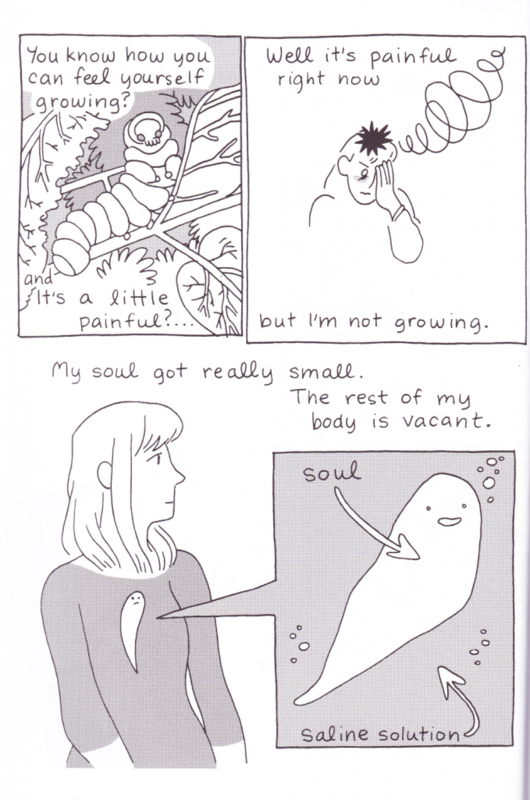 Laura Knetzger’s poetic comics in this personal anthology detail her life as a young woman living with depression and anxiety; the title conceit is based around the idea that Knetzger is living with a sea urchin inside of her head. You can read the entire book as one long stream-of-consciousness, but I see it more as a collection of vignettes around a central theme. Knetzger’s autobio uses metaphor that ranges from the ordinary to the fantastic to get at the sense of loneliness, pain, and anxiety that comes with depression. Knetzger depicts the spilling out of the disease, how it leaches into everything around you, and also depicts the personal retraction inward until almost nothing is visible. The depression has an impact on Knetzger’s sense of self, and thereby Knetzger’s art. 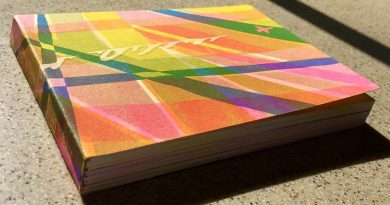 We see Knetzger deal with ideas of personal space and impact, the realization of her goals, the supposed selfishness of self-expression, how difficult it can be just existing. Knetzger’s tiny victories, like furtively petting a dog when its owner isn’t paying attention or finishing a page of comics, feel so much deeper when compared to the struggle portrayed in surrounding pages. Knetzger’s cartooning has a simplicity that is appealing; I’ve said before that Knetzger’s work reminds me of John Porcellino’s distilled comics, but I think that the comparison is overly simplistic. The comics in Sea Urchin are conservative in line, essential in nature, but are rich in depth and tone. Knetzger strays from traditional paneling in a way that is intuitive, sometimes falling through floors into gutters or building around a giant spikey urchin in the middle of a page. In Sea Urchin’s final contemplations, Laura Knetzger explores the idea of the strangeness and sweetness of being born, against all odds. Being the person you are, how specifically and intricately the world had to move in order for you to exist; Knetzger expresses a thankfulness for that, and for your presence as a reader. I think that’s an intriguing end to an emotionally taxing work. Sea Urchin is complicated, intimate, and full of raw emotion. Recommended. 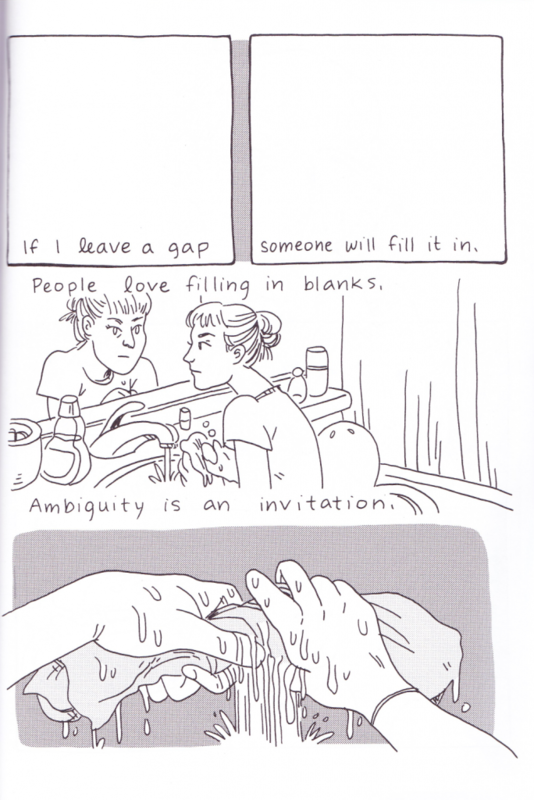 Laura Knetzger is a cartoonist based in Seattle, Washington. Knetzger’s ongoing comic, Bug Boys, will be collected by Czap Books this December. You can find more of Knetzger’s work here. 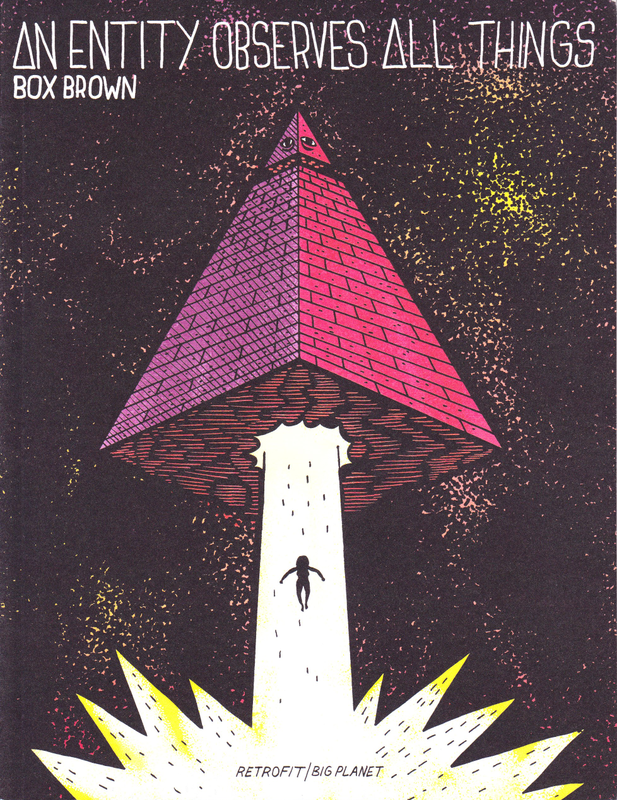 Retrofit Comics​ is a small comics publisher based in Washington DC. Check out their recently released books at their website.